This is a variegated form of a cold-resistant species from Brazil. Leaf margins are banded with a lighter colour. It produces blue inflorescences every spring. By buying this product you can collect up to 7 loyalty points. This is a variegated form of a cold-resistant species from Brazil. Leaf margins are banded with a lighter colour. It produces blue inflorescences every spring. This cool-tolerant species has green and spinless leaves. 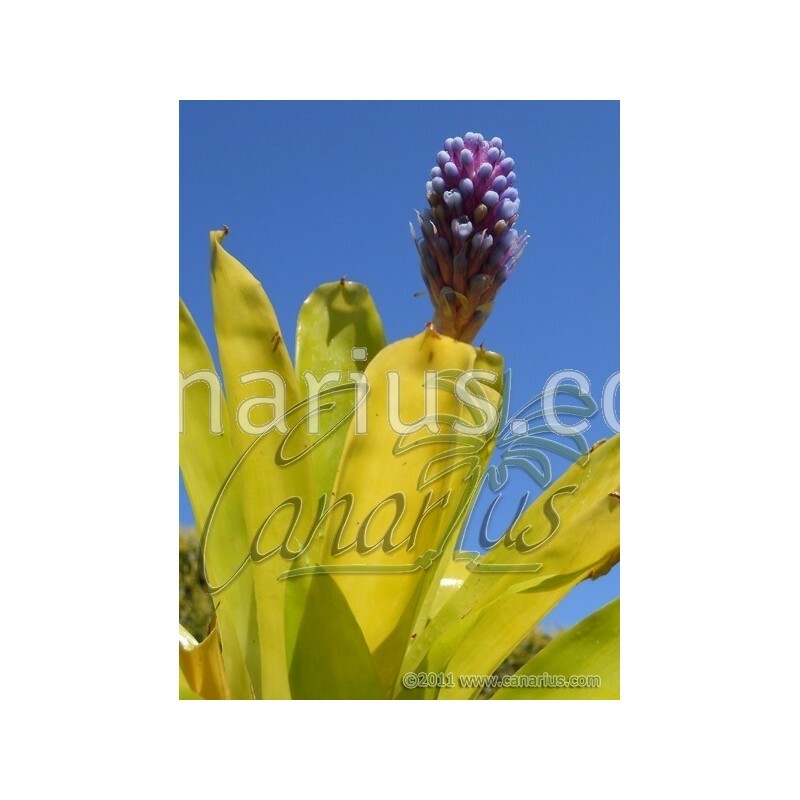 Here in the Canary Islands, the showy blue spikes, about 30 cm tall, appear in February to April. The wild type is native to SE Brazil (São Paulo to Santa Catarina), near the beach. With time, it will slowly expand as a ground cover. It grows well outdoors in coastal Mediterranean climates. It is said to survive to frost, to about - 6 C. It stands different light levels and can be grown indoors as a house plant as long as bright light is provided. Aechmea cylindrata is placed in the Ortgesia group of Aechmea, so flowers are arranged in showy spikes and they start opening in the central part of the inflorescence. Then they progressively open above and below. As in most species of Ortgesia, each flower has a beautiful colour contrast between the calyx and the corolla. Most of the species in this group from SE Brazil, are tolerant of cool weather and some frost. 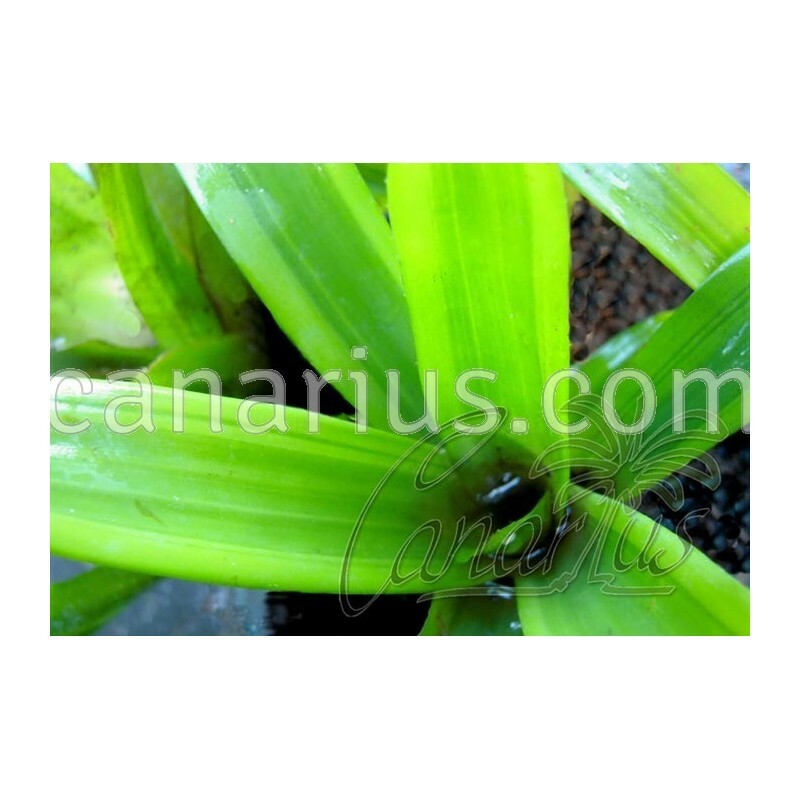 We offer one large rooted pup of Aechmea cylindrata var. bicolor, of 15-20 cm, able to flower in one year. We ship it worldwide. Visit THIS LINK and see pictures of our plants on the packing desk and learn more about what we ship, including some bromeliads. Visit our Bromeliad Section in the Web Shop and see which plants are now available for sale. 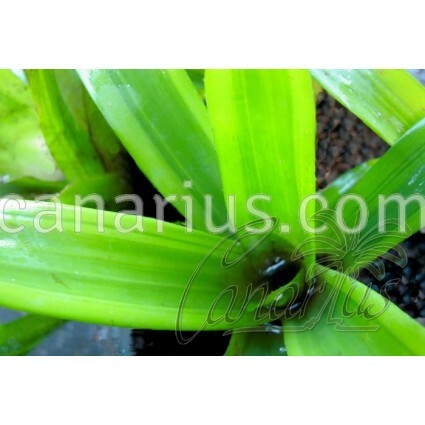 Visit also the Bromeliad Section in our Blog and learn more about our bromeliads. This is a picture of the non-variegated type, but the bloom is very similar.